Charlie McGee inherited pyrokinetic powers from her parents, who had been given a low-grade hallucinogen called "Lot Six" while at college. Now the government is trying to capture young Charlie and harness her powerful firestarting skills as a weapon. Sorry, I just never could get into this book. 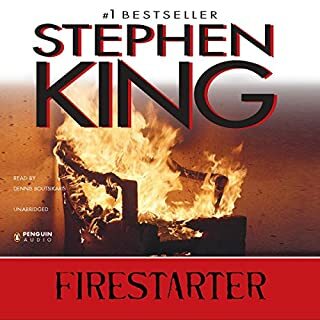 The narrator wasn't the best, and the book really went downhill after the girl burned down the farm. It was a struggle to finish. 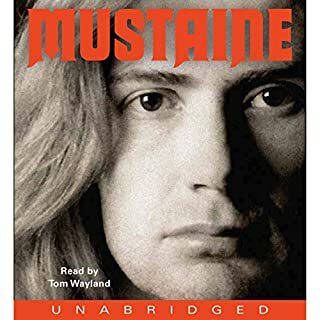 Tom Wayland is the best type of narrator for a rock n roll biography. He sounds like he's from L.A. and, in this case, he sort of sounds like Dave Mustaine. I'm an atheist, but, admittedly, the best moment of the book was when he laid all his burdens down at the cross. I'm sure a great weight was lifted and he saved his life and his family. Great story. I got confused with all the lineup changes,etc. I would have loved to hear more about how he learned to play guitar and more about how he created the music. 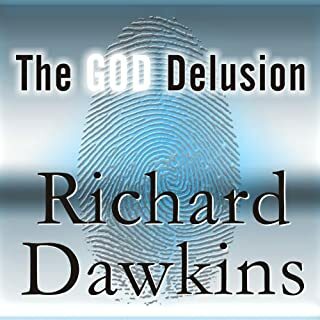 Dawkins is too nice, but great book. If you could sum up The God Delusion in three words, what would they be? Yeah, when he stated that every atom that your body is currently made up of now, was NOT there when you were a child. I think Dawkins is actually too nice towards religious people. Religious people have lied to children and that is the "ultimate sin." I think he made one mistake in the book, though. He says that Christians are never happy when someone dies. He is wrong. When my mother passed away in January of this year, losing her battle with cancer, the fundamentalists in my family, the ones who really believe the scriptures, actually WERE "praising the lord" because they thought my mom went to heaven and that "they wished they could go with her." One has to remember when this was written. 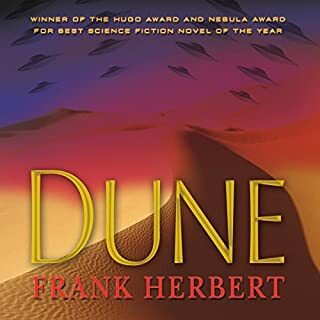 If you could sum up Dune in three words, what would they be? What was one of the most memorable moments of Dune? When Jessica drank the drugged water and got high and the old woman "downloaded" all of her memories(and the memories of every person who had "downloaded" her memories to the next person) and she knew everything that had ever happened in that culture. Yes, except all the narrators weren't there for the whole book, to read their parts. Sometimes, the main narrator had to do different voices for different characters whom had had a different voice in the preceding chapters. What would life be like on a desert planet? 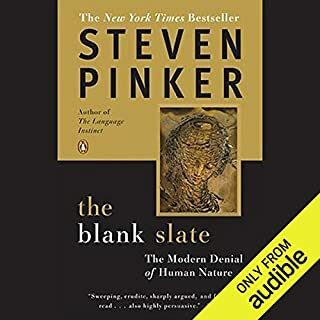 Steven Pinker is very objective. Among the top. I learned a lot, although, I'm not smart enough to say that I grasped all the concepts completely. No. I'm open minded. I learned a lot. This is probably a book where one should buy the book and not listen to the audiobook. I've been told that the book has a lot of corresponding graphs, etc., so that you can see the data and grasp the concepts at hand. Why does the bad guy always hesitate? What made the experience of listening to Mr. Mercedes the most enjoyable? Will Patton, the narrator, without a doubt. Holly, because she really came alive when someone showed her some empathy, just as one would hypothesize. When Kermit Hodges hit that thug upside the neck with the "happy slapper." LOL. 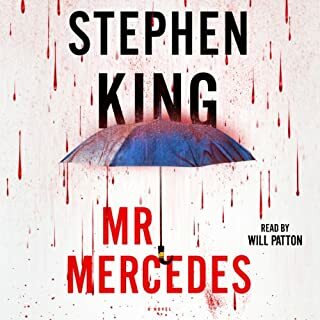 Who was the most memorable character of Mr. Mercedes and why? Brady. I think King nailed the underlying reasons (lack of peaceful parenting, parent being absent, sexual, physical, and/or mental abuse when a child) why people turn into sociopaths and do evil things. One gets the feeling that Holly could almost be the same type of person if people never gave her empathy(Hodges, in this case). My only gripe about this book was the bad guy hesitating for dramatic effect. I see it in movies all the time and it's become a turn off. Evil people, who haven't hesitated one bit throughout their lives to kill or maim someone at a moment's notice all of a sudden hesitate just a few moments to pull the trigger on their opus magnus criminal act. Will Patton just plain kicks gluteus maximus. I can't wait to listen to other books by him. I loved the reading of this work of literary genius by Christopher Hurt. He gave each character a unique voice and didn't hesitate or stutter between characters during conversation. 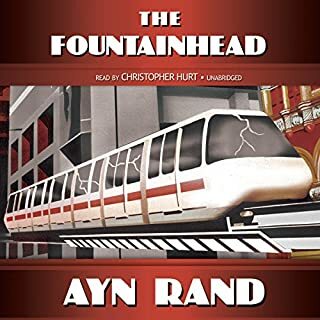 As far as the story, I think Atlas Shrugged is better, but this book makes a lot of great points, too, but in a more subtle way, via the personalities of each of the characters. 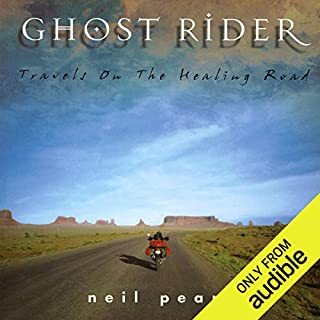 I love Rush, I love Neil's lyrics, and I love Neil's genius and talent and unending energy, and I respect him for sharing his travel stories and this story of grappling with immense personal loss. However, it turned into a snoozefest, with events being retold over and over in the letters to his friends. Also, the narrator mispronounced many place names, specifically "Newfoundland" making it sound almost like "New Finland". I have a lot of empathy for people and often try to put myself in their shoes, but it was very difficult to do this with Neil since he was travelling first class on a BMW bike, drinking single malt whisky and fine dining at the best restaurants in North America, sleeping in fancy hotels. Yes, I became very green with envy, mostly due to the anger that I have with myself for never going to these places that he went, which are the same ones I wish to visit. The story has a great ending and , of course, Neil got back with Rush, and I'll get to see them at two concerts this summer, so I'm glad it worked out for him in the end.